An investment in your family's heritage. A treasure to pass down. 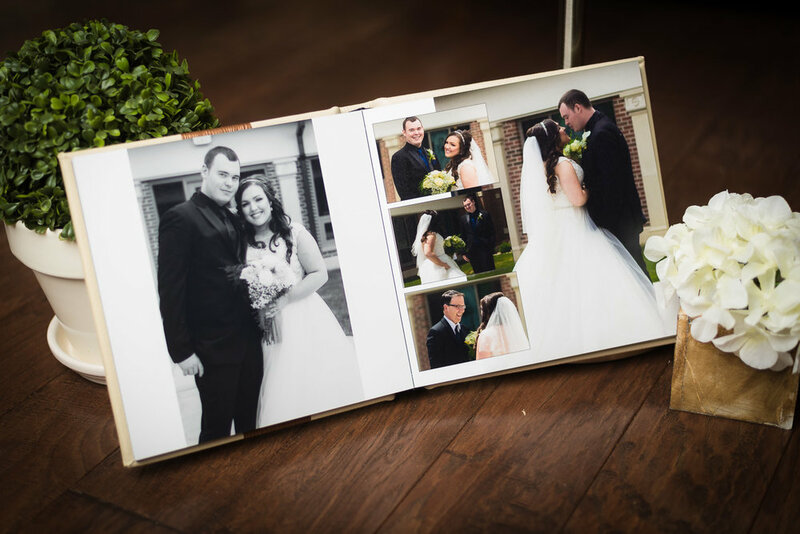 We truly feel that the best way to preserve and showcase your special wedding day memories is with a custom album. 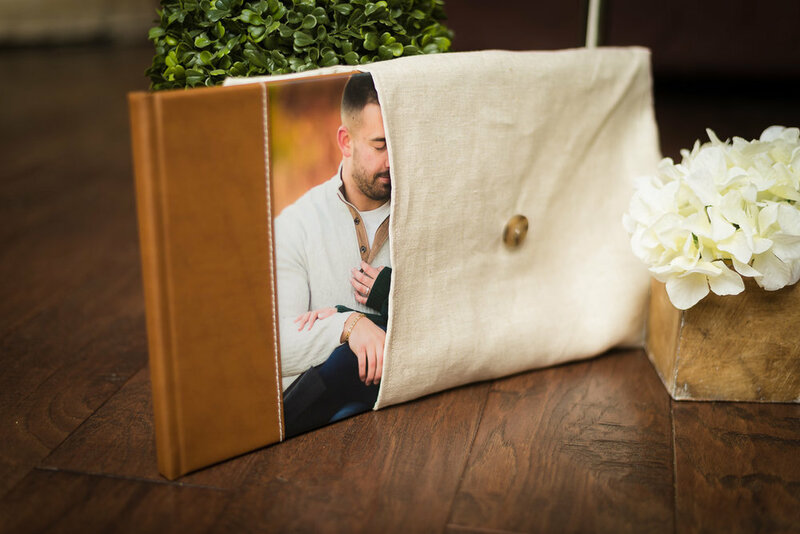 When your best friends come over or you have visitors, you'll be able to sit down in front of this album and share your wedding day story with them. Walk them through the preparations, laugh at the funny moments and bring back all the emotion of the moment you said "I do"! After all the flowers have wilted and the cake is gone, your wedding album will be around to help you relive all the excitement! 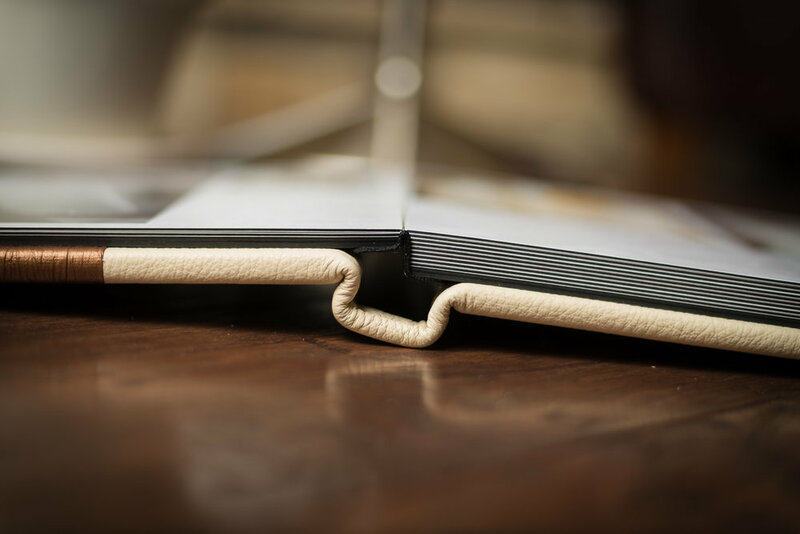 Beautiful, very thick pages have your photo memories printed directly on them. Your story is spread out beautifully across the album in this stunning presentation. Your wedding is such a special and unique day in your lives together, we want all of our couples to have a memento piece that's delightfully crafted just for them. 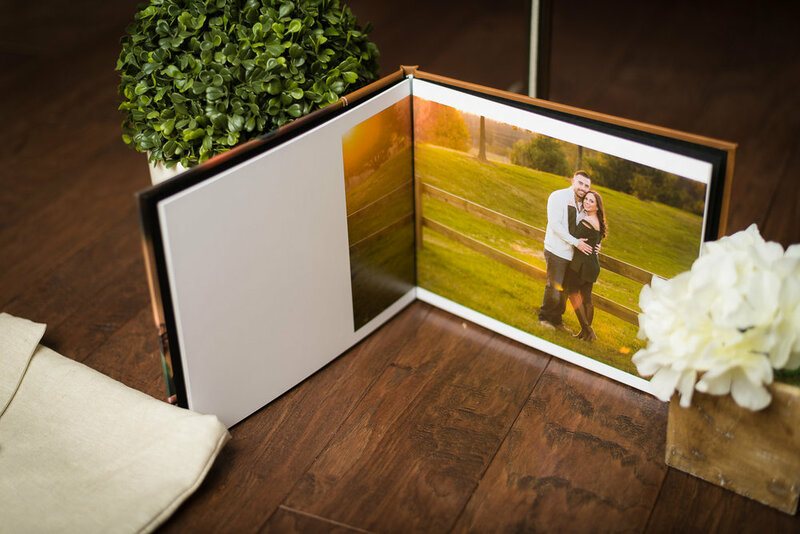 That's why all of our albums are artistically designed and built just for you! Your album will be designed and the photos laid out to best bring your story to life. 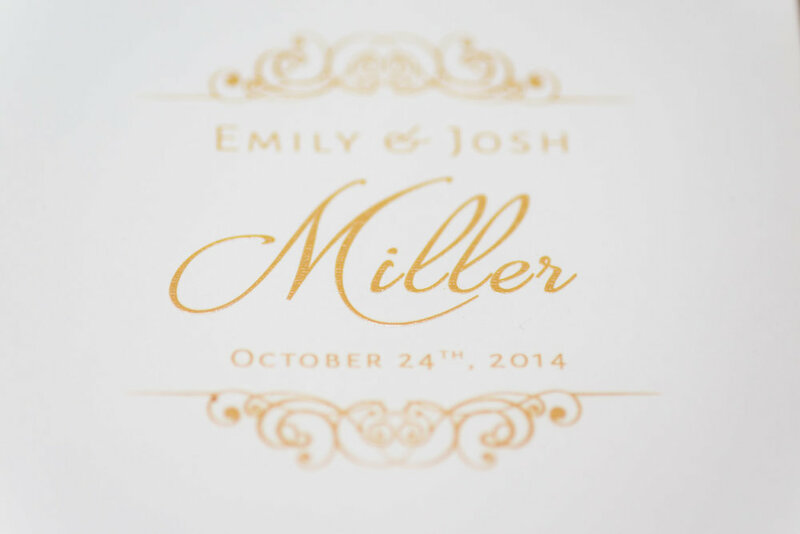 Your album will be covered in genuine leather in a color and texture that best showcases your wedding theme. Of course, the final design is always approved by you and will be modified as many times as needed until your happy! "An album is an investment that will be cherished by many generations to come!" 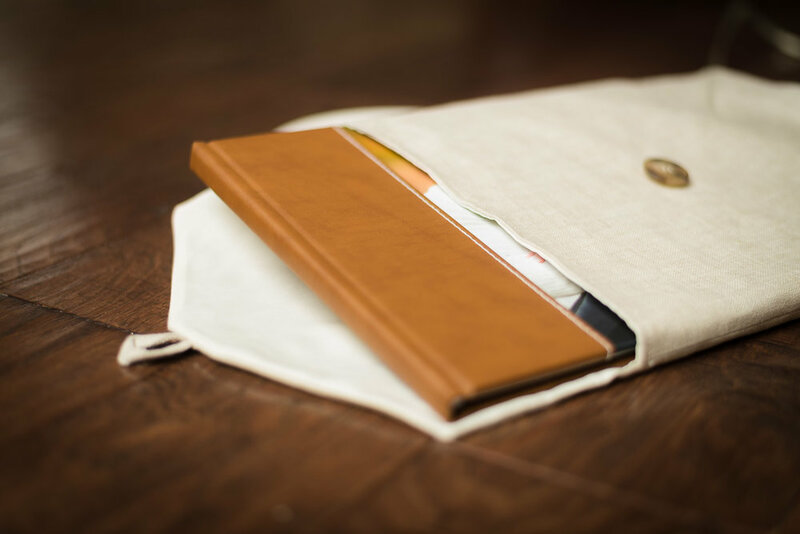 There's no better way to store your cherished masterpiece than a leather slip cover. You'll receive a custom fitted cover that'll fit your album like a glove. The leather color and style is picked to fit your wedding decor perfectly. 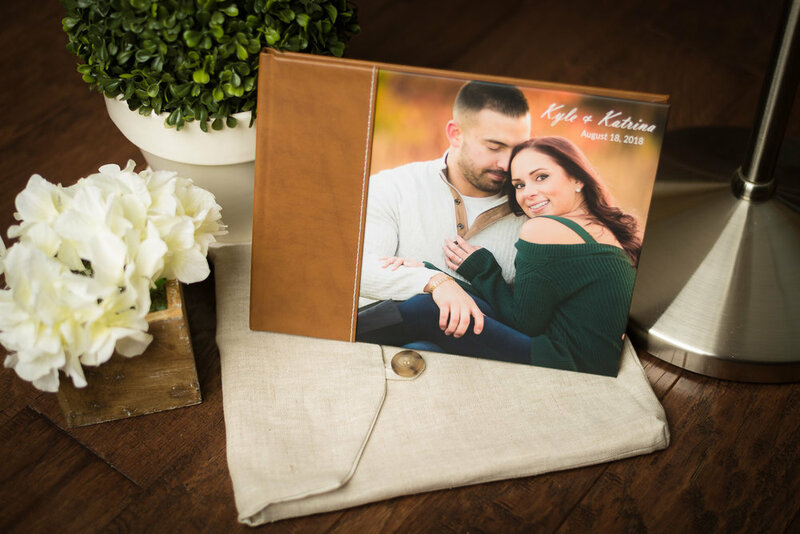 Just as for album covers, there is a large selection in leather color choices available to match your wedding theme perfectly! Your heirloom album is truly that....a family heirloom. And like all family treasures, it's made to last. You'll have an album that's guaranteed to last over 100 years, which means it will be around for many more generations to share. Your album has very durable bindings and is made using the museum grade papers. Sure, you have digital files of your photos, but like all things technology, file types and USB drives will likely become obsolete over time. 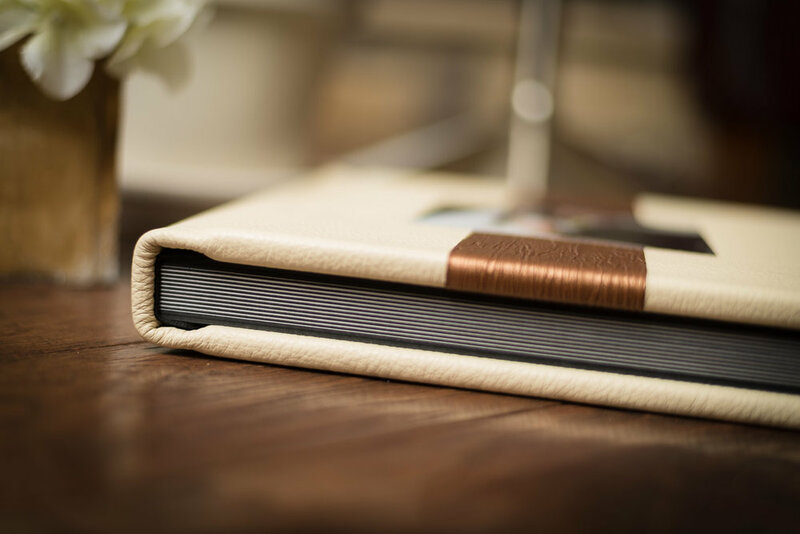 A printed album will never be obsolete and will always contain your most cherished memories together, forever! Gorgeous crystal and gold USB drive to house all of you wedding photos. Personalized to make it extra special for you! All your photos are loaded on the drive for you. Included are dual copies - full size/resolution along with smaller size copies for social media sharing. 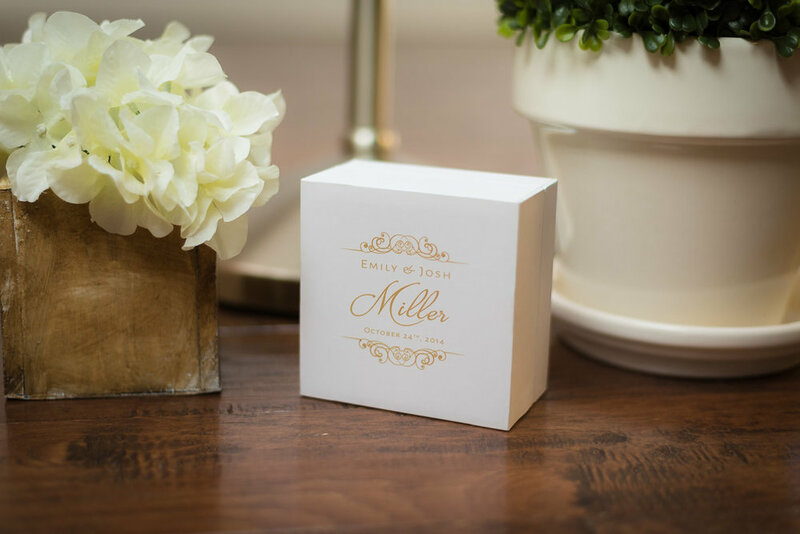 Tuck this away in a safe or safe deposit box to keep all your memories protected forever! Mom, Dad and grandparents want to brag about your wedding too! 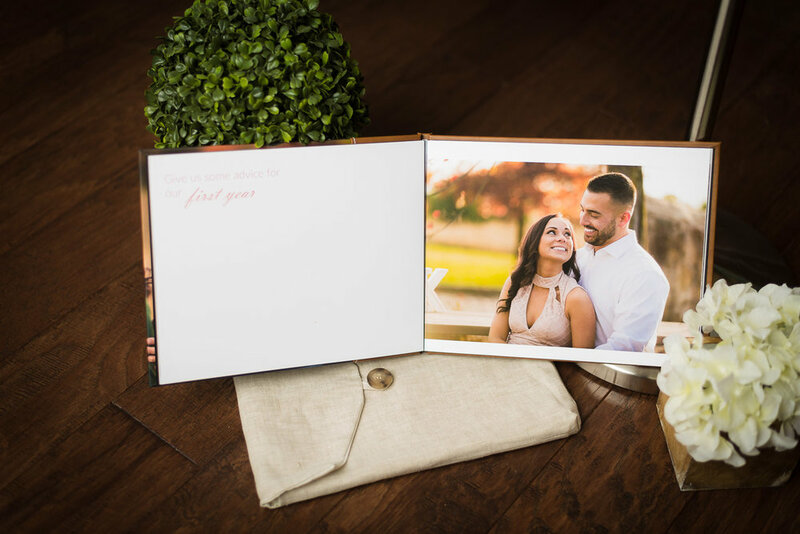 They will receive a smaller 8"x8" version of your Heirloom Album for themselves to cherish. If you're looking for the perfect holiday or birthday gift, there's nothing better than the gift of memories! So much more creative than a plain guest sign-in book! Your sign-in book will be custom designed and laid out just for you. Let us give you a book that showcases the connections you've made as a couple! You'll be able to show off all of your engagement photos for all your wedding guests to enjoy! 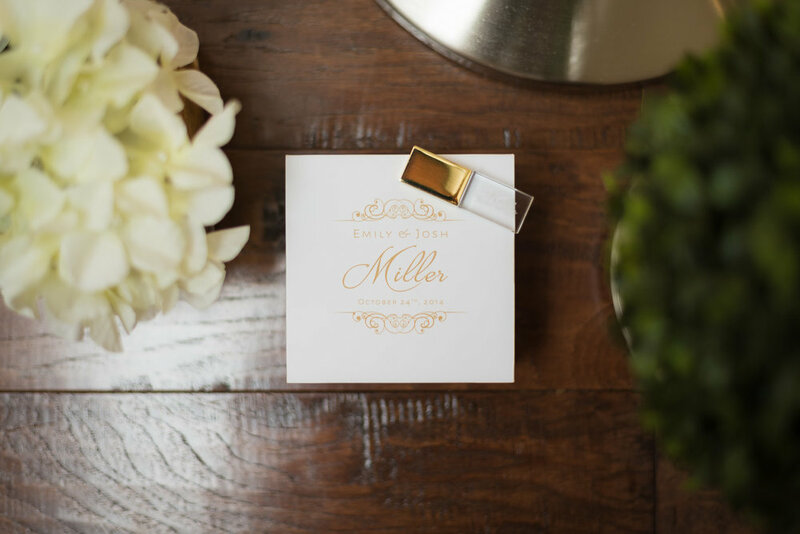 Each page includes unique ideas to help your guests think of something fun and personal to write to you. No more "sign your name"....with your book, you'll be able to hear fun stories and personal writings from each of your guests! Access all of your favorite memories in one easy place online. Share directly with friends and family on Facebook, Instagram and email. Download to your computer as much as you'd like. Heart your favorites and easily order prints shipped straight to you. Created just for you to install on your phone or tablet. 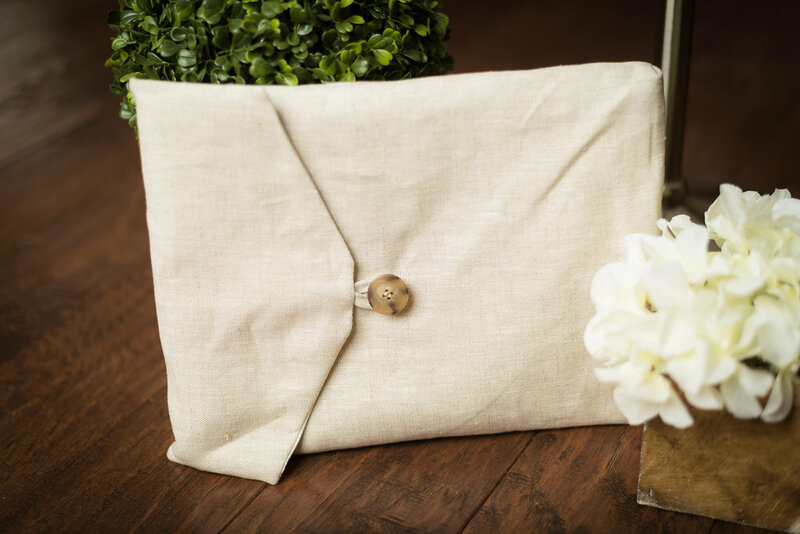 Carry your favorite moments with you everywhere and show off your wedding! Send to friends and family to install on their phones or tablets too!